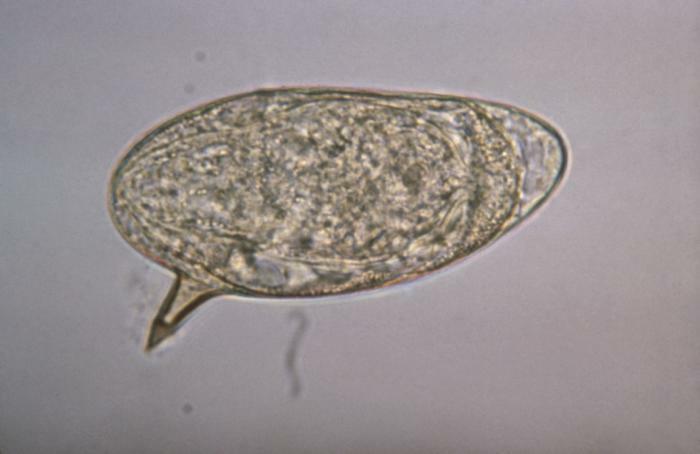 ID#:	4841 Description:	This micrograph depicts an egg from the parasite Schistosoma mansoni, and reveals the egg’s characteristic lateral spine. S. mansoni eggs are large, measuring 114µm -180µm in length, and have a characteristic shape, with a prominent lateral spine near their posterior end. The anterior end is tapered, as well as slightly curved.